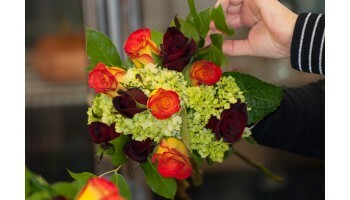 This course prepares students for jobs in the floral industry. Students will learn the principles of floral design, the use of floral materials and tools and preparation of floral arrangements. Students will gain an understanding of basic sales techniques, customer relations, and basic business practices. Externship is available for 3:45-6:45 course only. Gregory B. has successfully found employment as a Plumber's Helper after completing course(s) in Plumbing. Austin S. has successfully found employment as a Lifeguard after completing course(s) in Clinical Medical Assisting.